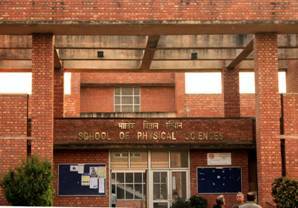 The School of Physical Sciences (SPS) is one of the leading departments of India in research and teaching in the fields of Physics, Chemistry and Mathematics. Since its inception in 1986, the faculty of SPS has made significant contributions to these subjects as well as interdisciplinary areas bordering them. The School offers Ph.D. programmes in Physical and Chemical Sciences and in Mathematics. In addition, there are M.Sc. programmes in Physics (since 1992) and Chemistry (to commence in 2017), while one in Mathematics will start in near future. In Physics, the research emphasis is on Chemical Physics, Complex Fluids, Disordered Systems, Granular Materials, Non-equilibrium Statistical Mechanics, Materials Science, Magnetism, Superconductivity, Semiconductors, Polymers, Nano-materials and other aspects of Condensed Matter Physics. Moreover, Computational Physics, Mathematical Physics, Nonlinear Dynamics, Quantum Chaos, Statistical Nuclear Physics, Nonlinear and Quantum Optics, Neutrino Physics and String Theory are also active areas of research. The focus of research in Chemistry is on Inorganic, Organic and Physical Chemistry, in particular, on Supramolecular Chemistry, Biophysical Chemistry, Biomolecular Complexes, Synthetic OrganicChemistry, Organo-Metalics,Crystal Engineering, Ultrafast and Single Molecule Spectroscopy, and Biomolecular Dynamics. Research in Mathematics focuses primarily on Algebraic and Analytic Number Theory, Arithmetic Geometry, Elliptic Curves, Dynamical Systems, Probability Theory on Groups and Operator Algebras. 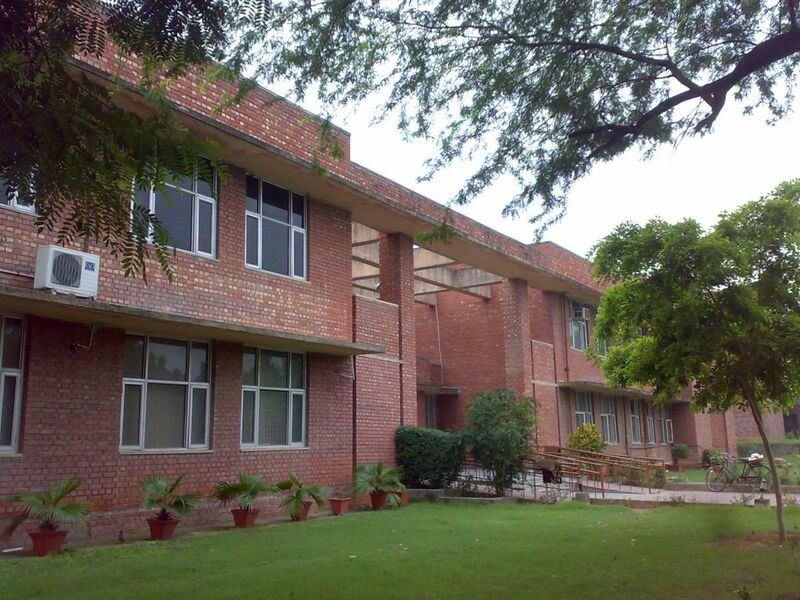 The School has state of the art computational facilities, modern laboratories and a well-stocked library. It runs an active seminar programme and attracts visitors from premier institutes across the world. The research and teaching contributions of the School have been widely acknowledged. Most students graduating from SPS are well placed in academics and industry. Several faculty members have received prestigious awards and are elected fellows of renowned scientific academies. The School has attracted generous funding from several agencies: to name a few, DRS (1994 – 2009), DSA-I (2009—2014) and DSA-II (2015 -2020) from the University Grants Commission, and FIST-I (2002 – 2007), FIST-II (2008 – 2013), FIST-III (2014-2019), COSIST (2000 – 2005) and PURSE (since 2009) from the Department of Science and Technology. In addition, faculty members have many individual research projects sponsored by Department of Science & Technology, Council of Scientific & Industrial Research, Department of Atomic Energy, National Board for Higher Mathematics, University Grants Commission, Department of Biotechnology, Department of Information Technology as well as collaborative Indo-French and Indo-US research projects..